Every blogger should be using Twitter to it's full advantage. I get around half of my blog views from Twitter especially since doing certain things. 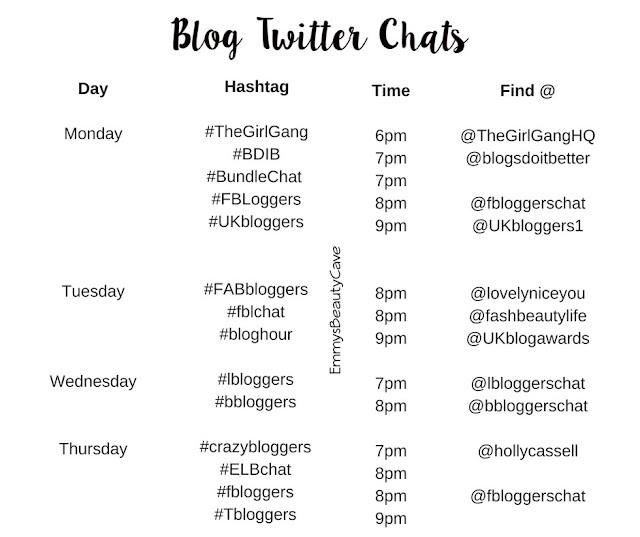 There are many platforms bloggers should be using but for me Twitter is the best place to start as it has so many options and can really help your blog grow. 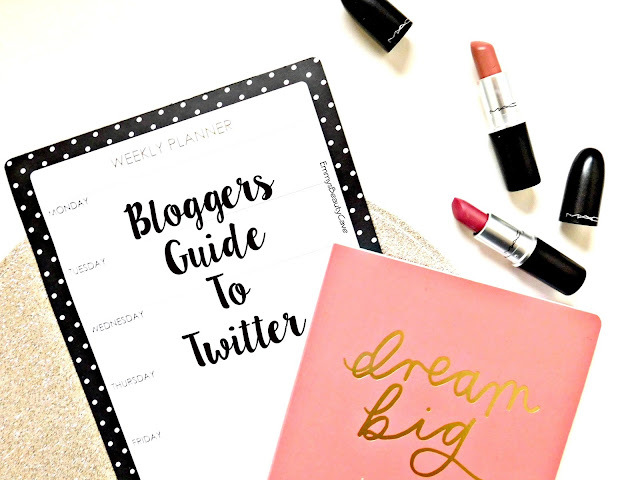 I have had a few questions lately on how I use Twitter for my blog so I thought I would do a Bloggers Guide To Twitter post and include everything you need to know. 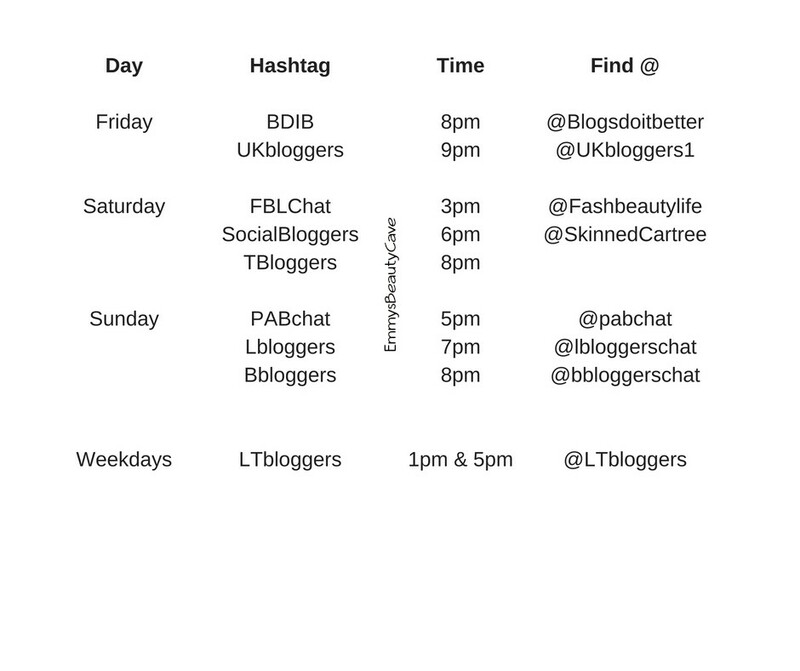 One question I get asked alot is how often should you be promoting your blog on Twitter. Personally I tweet a blog post or my bloglovin link around every 2 hours. Twitter feeds move quick especially if people follow alot of people but you still don't want to spam their feed with the same tweet. I find promoting my blog or posts every few hours is enough and then in between I will usually tweet about my Instagram or Pinterest. 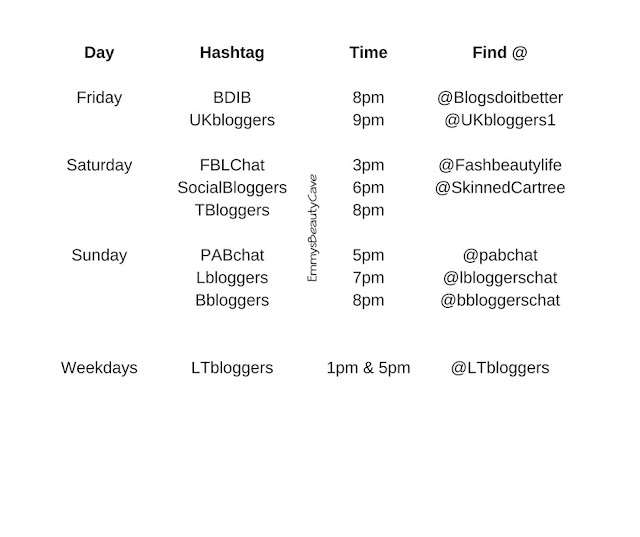 Also use #bloggingGals and they will retweet you too! 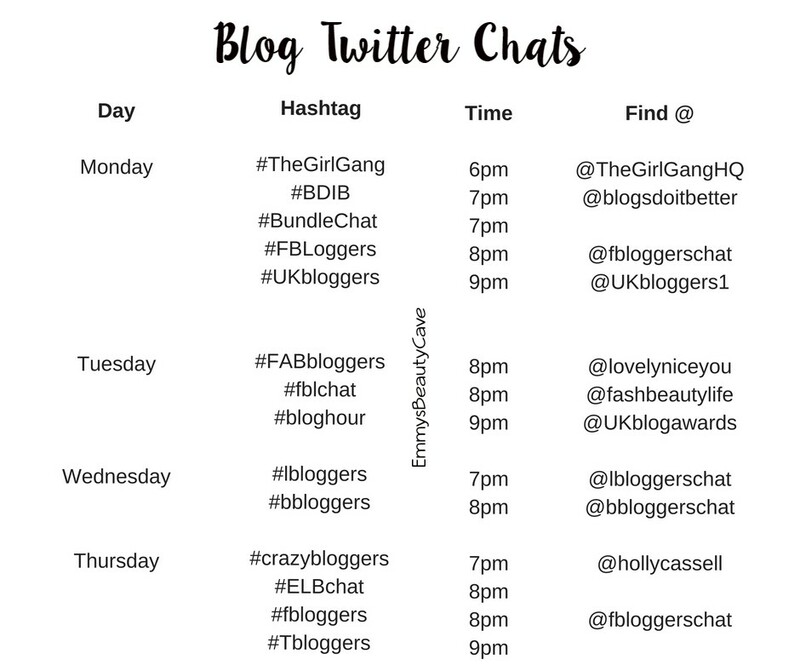 Blogger Twitter Chats are another thing that really helps introduce you to new people and new blogs and also promote yours at the same time. I used to join in them alot and then recently I have been really busy but I at least try to join one a week, I usually join in on one on a Sunday evening. The chats run for an hour, some have set questions and themes and others are just chit chats to get to know each other. I have included most of the chats I know, I may have missed a few but these are the bulk of them. When you review a product or you have mentioned products in your blog posts make sure to tag the brands in the tweets. It is a great way to get you and your blog noticed. Just from tagging brands I have built up PR relationships and worked with the brands a few times. The main thing is to promote your blog but you don't want your whole Twitter to be full of blog links etc... It is good to socialize with other bloggers. Tweet something that will start a conversation or reply to other peoples tweets. The more you chat the more people will see you and you will make friends too! If I find someone's Twitter is full of blog links and no normal day to day life tweets I will unfollow. I do enjoy to see what people are doing and just the general funny tweets. If you use Google Analytics you can see how many of your views you are getting from Twitter. As I mentioned I get at least half of my views from Twitter. To get the best views post at the right times. I usually find early morning between 7-10am is best and then 5-9pm is good for the evening. One thing alot of people forget is you don't always just having followers from your own country. Remember people follow you from all over the world so when we are asleep there will be someone awake on Twitter. I usually schedule 1 or 2 blog posts or instagram links between the hours of 12am-5am so any international followers will see them.